XXXII, 328 p., 15,8 x 20,8 cm. Erhard Weigel’s 1673 work contains the outline of a pansophic system that subjects all categories of being to the universal standard of the mathematical method. Following the doctrine of tres operations mentis, Weigel begins by establishing a parallel between definitions and numbers. While noting the artificiality of ordering definitions in this way, Weigel insists that estimative knowledge alone is able to grasp the essence of things. 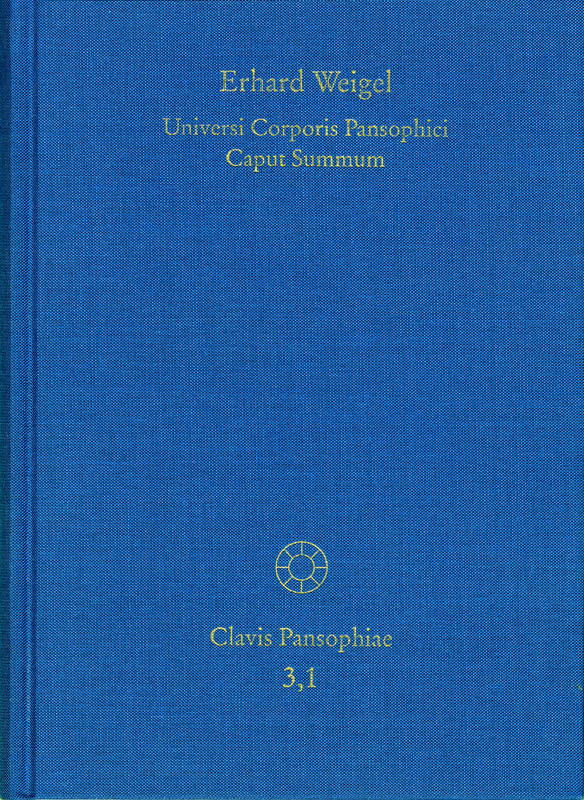 It is only the mathesis, that is, the discretionary part of every science, that completes the project of a pansophic encyclopedia. Leibniz extensively studied and excerpted this work, which served as an important foundation for his plan for a demonstrative encyclopedia. Dem Herausgeber Thomas Behme ist zu danken, dass er mit außergewöhnlicher Akribie und immenser Gelehrsamkeit einen Sachkommentar erstellt hat, der den Zugang zum Text erleichtert und dessen wissenschafts- und philosohiegeschichtliche Einordnung erst ermöglicht.